Home › Samrakshanam › Urgent appeal on saving cows – please read! Urgent appeal on saving cows – please read! Following is an email I got from Shri Vijay Parathasarathy. Then I called Erode Shri Karthikeyan and talked to him to understand more….Here are some details…. Olakudi is an interior village in Tuticorin district. This village is situated around 8kms from Valanadu. They are only 4 kms away from River Thamarabarani. There are 3 villages situated between Olakudi and Thamarabarani. There are only around 100-150 houses here. The villagers here revere their Cows as Gods. Around 6 yrs back they had around 2000 native cattle. They take pride in rearing only native cattle and have not allowed hybrid or foreign breeds to enter their village. They reared them not for profit but as a status-symbol. But for the past 6 yrs due to extreme poverty, lack of water(inspite of being situated close to Thamarabarani) and their inability to do agriculture they are unable to rear their cattle. The numbers have dwindled to around 600. Last year’s drought killed 150 of their cows in the months of February and March. This year, in fear of facing the same situation, they want to sell approximately 350 of their cattle. The muslims from Melapayam (situated 30kms from Olakudi) are ready to buy their cattle for slaughter. The villagers of Olakudi feel they will get income from the sale of their cows and at the same time their cows will face an immediate death instead of starving to death. Mr. G.Bala(Mobile: 8870400537) from Palayamkottai received information that these villagers are bargaining with the muslims from Melapayam for the cattle sale. Acting on this information, Mr. G.Bala is currently in Olakudi and has requested the villagers to hold their sale for 10 days starting from 24th Feb 2014. Mr. G.Bala and his team are talking to the villagers, the panchayat head, accessing the situation there are trying to brain-storm as to how these 350 cows can be saved from slaughter. He is working along with Mr. G Karthik of Erode (Mobile – 8148135081). They have currently found buyers for 15 of the 350 cows. To save a cow, we need Rs 10,000. There are 300 cows – makes up to 30 lakhs (!!!). Sadly, we can’t save them all. Goal is to buy these cows from individual villagers and give to ghosalas in and around…The team is taking lots of routes – approaching kanchi matam, vaishnava madams, considering forming a ghosala right there etc…while all these are happening (which may take time), we have only 10 days to save them as per my conversation with Karthik. Even if we are able to save 25 cows, it would be great….I am going to talk to Shri Chandramouli of Shivarpanam trust to see if we can some funds out of our 2013 veda/gho rakshana drive to save some. In the meantime, if there are any volunteers who have NOT contributed to our veda/gho rakshana in the past and want to do it now, please consider this as an opportunity….I have given the number of Karthik (see above) and contact him directly and see how you want to help. (Y)our contribution for this cause will be blessed by Mahaperiyava. Please contact Shri Karthik at 011-91-8148135081. I will talk to him tomorrow and see if he can share the bank account # for those who want to share…. Please note that I talked to Karthikeyan about our blog and sincerity of all the readers and the importance of using our contribution in the right way and the need to have proper governance. Karthikeyan agreed to be very careful and he is truthful to the task he has undertaken. He has promised to provide update for all the cows we are saving. In order for him to effectively do his job, please provide your name, email id and the amount transferred to Karthikeyan at karthikeymba@gmail.com. Karthik is a 27 year old man (!) who is working in a marketing line. He got interest in naatu maadu and started working towards researching about them…He had so far several cows being slaughtered risking his life etc….Recently, with the help of Facebook friends, he conducted a seminar on naatu maadu and nearly 70+ folks from various parts of Tamilnadu attended. In that he talked about the need to save them from being slaughtered…As a result of that, about 15 donors have come forward to save them…Without divine blessing young boys/men won’t be pulled into such an activity of higher causes.We pray Mahaperiyava to bless Karthik & his team and their families with health, wealth etc. Came across this post so late.. I hope the cows are fully rescued.. Yes, they all are rescued and doing fine! ULAKUDI STATUS : 76 COWS saved by Sree Tamilnad Maha Mandal. We are trying to save remaining, Thanks to all for your valuable support and help. The saved cows located in Chennai kamadenu goshala, sivaram goshala tiruvarur, vidial trust vilathikulam, ravi team coimpatore, ag farms madurai. i will update full detail and pictures very soon. Thankyou. all credits go to MAHAPERIYAVA. .mr Mahesh could suggest this to him. Pl.share Mr.Karthik’s email Id to communicate and understand the present need. I donated Rs 10000 by cash payment into the account mentioned above today from Mumbai (name Ravi Sharma). However, the phone number of Mr. Karthik is not working. Is it the correct number? i will check and let you know…you can drop an email to him instead as he checks his mails regularly. Since the village is near Temple town(Tiruchendur),I found that there is a goshala maitained by the Subramaniyaswamy Temple Trust, refer(http://www.hindu.com/2007/09/10/stories/2007091052120300.htm) website for more details.I am sure they can help us. 76 cows saved by sree tamilnad jai maha mandal. Jaya Jaya Sankara! HaraHara Sankara! i would like to have Mr.Karthik’s email id & address for effecting the transfer. it is in the post itself. Very very Noble initiative, will speak and cascade across all known contacts to spread this message and thanks for giving this opportunity to do something good for these poor cows. i will contact Mr. Karthik. As recently in Vijayawada we come across on organisation Cow.Org who had started new gosala near vijayawada, who’s main object is to save the Cow. 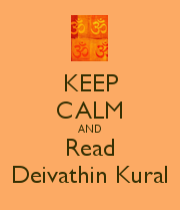 Very happy to see all our Mahaswamy devotees becoming Maharaja Dileepan in protecting the Nandhinis of Thirunelveli. I sincerely pray that this mission becomes a big one in uniting all the dharmic forces. Very very happy to see the response of many of our devotees contributing for Mahaswamy’s dream of Gho Rakshana in a great way. I pray Mahaswamy’s grace to be paripoornam on their family and bless them with more wealth, health and happiness in life. Today, being Sivaratri and Sravana Vratam, went to Sri Govindan Goshala ( http://www.goseva.net ) and had the bhagyam of having darshan of the 250 cows there. What a sight – will get permission from Sri RKji mama and post the photos of the Viraja Homam that was performed today and also the Sri Rudhram Parayanam that happened there. It is only in Gho Rakshana that all the vibhinna vaideeka madhams are uniting. I am sure, the Dharmic resurgence in our great Bharatham will lead as a lamp atop a hill for the world to follow. Let us all pray for Mahaswamy’s continued guidance and his blessing in disguise for giving us this wonderful opportunity to take part in Gho Samrakshana. A great part of this punyam will be for Sri Maheshji, who took pains to collate these information, co-ordinate with Karthik and get this momentum in an unprecedented way in unprecedented deadline. I truely believe its none other than Mahaswamy’s thiruvilayadal that has come through Sri Mahesh Nayanaar. Very nice initiative Karthik. Appreciate your support commitment. We will try our best to bring this situation under control. Cascading this message to my close friends in my Organization too for creating better awareness and increased commitment from other responsible Citizens. With God’s grace I will contribute. Name of the bank is not mentioned. Will contact Karthik. Bank is Karnataka Bank , which is missing in the bank details given above . Thanks Mahesh for bringing up this cause. அரைகூவல்! கோசலை உரிமையாளர் களே ! நாட்டு மாட்டு பக்தர்களே ! மாடுகளை பாதுகாக்கும் எண்ணம் உடைய பரந்த மனம் உடையவர்களே ! துத்துக்குடி மாவட்டம் வளநாடு அருகில் சுமார் 350 மாடுகள் கோடை வறட்சியின் காரணமாக அண்டை மாநிலமான கேரளாவில் விலை போக தயாரான நிலையில் உள்ளன ! மேலும் அந்த கிராம மக்கள் சென்ற வருடம் சுமார் 150 மாடுகளை கோடை சமயத்தில் பலி கொடுத்தனர் ! இந்த வருடம் அந்த கொடுமையில் இருந்து தங்களை காப்பற்றி கொள்ள பேரம் பேசி கொண்டு உள்ளனர் ! மேலும் திரு. பாலா என்னும் நமது நண்பரின் முயற்சியினாலும் அவரின் குழு முயற்சியினாலும் சுமார் 10 நாள் கெடு கொடுத்து உள்ளனர் ! எனவே உங்கள் பரந்த உள்ளங்களின் முலம் அந்த பசு மாடுகள் பாதுகாக பட வேண்டும் ! தேவை படும் நல் உள்ளங்கள் பின் வரும் எங்களில் தொடர்பு கொண்டு உங்களின் எண்ணப்படி அந்த மாடுகளை வாங்கவும் எங்கள் குழு முயற்சி செய்து கொண்டு உள்ளது ! எனவே தேவை படும் நல் உள்ளங்கள் நாளை காலை முதல் கில் வரும் எங்களின் தொடர்பு கொண்டு உங்களின் கருத்துகளையும் உங்களின் நாட்டு மாடு தேவைகளையும் எங்களிடம் தெரிவிக்கலாம் ! Mahesh Sir Please Sent ur correct mail address that mail address is wrong ! Please post any email address, or bank details to send the money. it wud be very helpful if you can get the account details , so that many who read this mails can help as much as they can ..thanx ! Hara Hara Shankara Jaya Jaya Shankara! 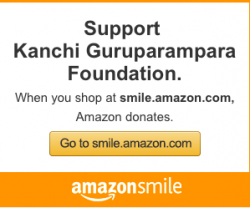 With the blessings of Maha Periyava and with the support of my family and friends, we can contribute for Rs. 60000. Furthermore, I’m expecting few more responses from friends and relatives. Please share the E.mail ID of Mr.Karthik so that we can discuss regarding the transaction details. Thanks to you for getting us involved in such a noble cause. Really very sad to hear this and I shall definitely reach Karthik on this. I pray Maha Periyava to have many people come forward and save as many cows possible. Thanks for the info. 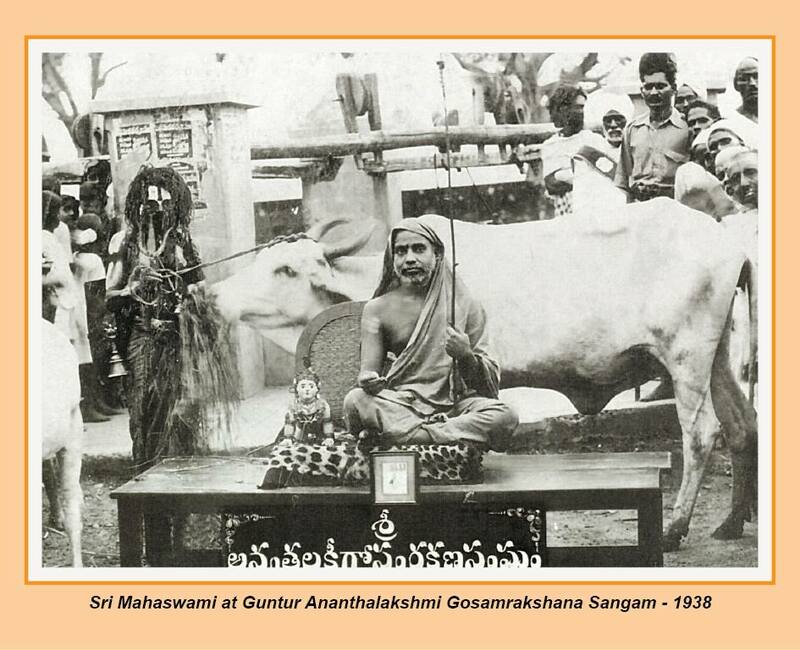 By Mahaperiyava’s grace we can save these cows. I’ll spread the word around and will take some myself. Thanks for letting us know. It is important to save and protect the native strains of cattle as the milk of the foreign cows do not suit the DNA of Indians and cause health problems including heart troubles.Besides, the male calves of the foreign strains are not suitable to work in Indian conditions and are simply butchered. Many of us are ready to help.. It will help if it is announced to whom we should send our contributions. you have not given any person to contact….I am personally ready to take about ten of them and save them with all honour…But I do not know who I should contact? I just now spoke to Mr. Bala mentioned in this post on his given mobile number. He said that a team of people are going to come and see whether a gho sala can be instituted for the rest of the 250 cows, as the rest of them have been booked by some good Samaritans to buy it or save it from being sold. He said once the team has decided to finalise, he asked me to call him tomorrow to know the outcome. In that case it will be around 5000 to 7000 Indian rupees to maintain each cow. Also he can provide a trust details where the money needs to be sent to. Hope this information can be of use to the people who are looking forward to save the cows. In Our Team Work hardly ! based on All Your supports ! we are update the all activities all coming sunday ! We are ready to save 350 !